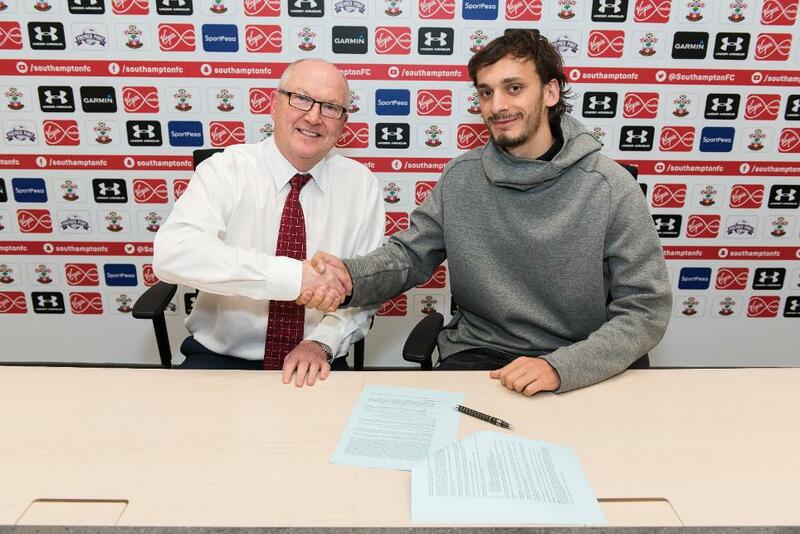 Southampton have completed the permanent signing of striker Manolo Gabbiadini from Napoli. The 25-year-old Italy international has agreed a four-and-a-half year deal and becomes Southampton's first signing of the January transfer window. "I am very, very happy," Gabbiadini told southamptonfc.com. "Since I was a kid, one of my dreams was to perform in one of the biggest leagues in the world, so now that it's happening I can't wait to start playing." Gabbiadini, who has been capped six times, joined Napoli from Sampdoria in 2015 and has scored 16 goals for them in 56 Serie A appearances. The former Atalanta and Bologna forward could make his debut for Claude Puel's side at home to West Ham United on Saturday.